We might as well delve into C.G.I. cartoons. is one of the most powerful, whom every Scare student strives to impress. That would be Dean Hardscrabble, the stern yet sophisticated antagonist. During the Scare Games, HSS is the fourth team eliminated in the Hide and Sneak event, because they resort to typical monster hiding places. Interestingly enough, their names are normal ones like Nancy Kim and Sonia Lewis, instead of dark name changes many Goths would have. Jacqueline and Delphine from Barbie: A Fashion Fairy Tale. 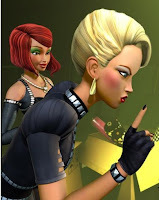 Among the many pink and pretty Barbie films, there's one that has Goths.. as the villains that is. Jacqueline owns the fashion boutique across Aunt Millicent's. Her edgy and savvy fashion (like that of Haute Goth) causes Millicent to go out of business, until Barbie comes along and discovers the Flairies. Jacqueline actually doesn't want to be trendy; she wants to start the trends herself. As for Delphine, she's her preppy assistant and number-one fan. She goes along Jacqueline's evil schemes, but she's actually a good person. They kidnap the Flairies and force them to do their magic on their new collection. To be honest, I find her designs much more couture than Barbie's. Clair from Ghouls Rule! This is a Halloween special of Monster High, where there's a divide between the monsters and the "normies" (mortal humans). Clair is a Goth normy who right away notices Frankie and her ghoulish friends during a party. She takes an interest on the monsters, even calling Holt Hyde cute. Along with her goofy friend Chad, she sides with the monsters when the normies become intolerant of their kind. Clair, being a Goth, knows how's it like to be an outcast, and defends anyone, normy or monster, against bullies like Lilith. She's a spunky girl who's not into parties, lame music, and mushy stuff. She has the heaviest make-up in all the characters of Monster High. Hope she becomes her own doll. Mavis from Hotel Transylvania. She is the precious daughter of Dracula. Though she's 118 years old, she's still a typical teenager who grows bored within the hotel's ancient grounds and creatures, and longs to fly away and see the world. But Dracula has pampered her so much and has told her fear-filled stories about humans. 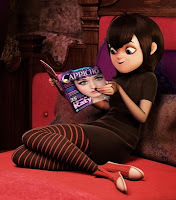 She's then emotionally grounded to her father, until she "zinged" Jonathan (in monster disguise) for the first time, whom she grows curious about and falls in love with. Fearing his dear daughter will leave her daddy, Dracula tries his best to keep the human boy away from Mavis during her birthday celebration. Lizzy from Meet the Robinsons. She participates in the school science fair, and presents her pet fire ants that only harm her “enemies”. Wilbur Robinson accidentally bumps into her, and her fire ants escape, causing further chaos in the auditorium. The science fair mishap triggers a rivalry between Lizzy and Stanley, the papier-mâché volcano kid, well into the future, as featured in the video game, where they become super-villains. Lizzy is the underground-based leader (or queen) of a swarm of robotic giant ants terrorizing the city, and clashing with Stanley's own machines. Her main plot is to steal Robinson's time machine. 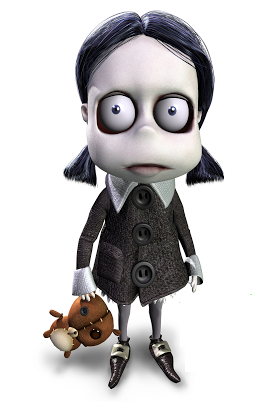 Emelia from Emelia: The Five-Year Old Goth Girl. This delightfully creepy short had been circulating in the mid-2000s, with good sound design and a Tim Burton-esque character. It shows the typical life of an average babygoth, Emelia, while she narrates it with her monotonous voice. She has a pet bat, sews a cursed teddy bear, boringly eats Count Chocola for breakfast, scares the Halloween candy out of neighborhood kids, and listens to Marilyn Manson (as I said, a babygoth). 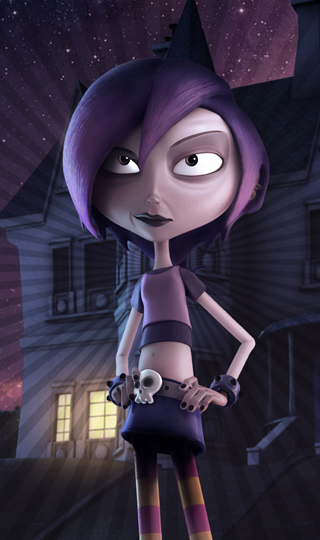 The animated short tackles how Emelia handles some of the difficult emotions every five-year old Goth girl have. Juleka Couffaine from Miraculous: Tales of LadyBug and Cat Noir. This French CGI superhero series revolves around the titular characters against the mysterious Hawk Moth, who uses akuma, butterflies infused with black energy, to transform everyday citizens into supervillains. 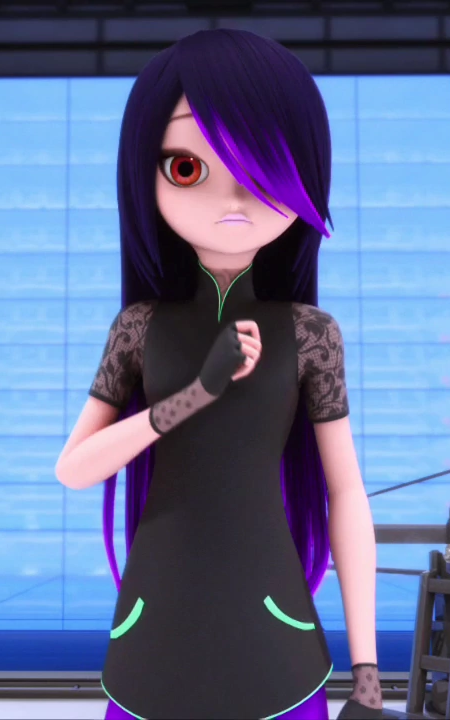 One is Juleka, a timid Goth in Marinette's class. She loves scary things yet fears nothing, even Horrificator. When she gets locked in the bathroom, missing the class photo, Juleka is infected with an akuma and becomes Reflekta, who turns people into copies of herself as so she would never go unnoticed again. Juleka is best friends with Rose, her polar opposite, who turns into the supervillain, Princess Fragrance. 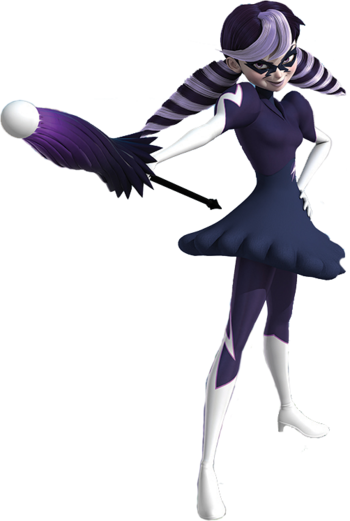 Though Reflekta is not designed as obviously Goth as Juleka, there is one called Stormy Weather, yet her real identity is another preppy girl. Pig from Back at the Barnyard. The show is about talking and partying barnyard animals who uses disguises to get around humans in some episodes. In "Some Like It Snotty", Otis the Cow and the others, including Pig, want to attend ladies night in the bowling alley. So, they disguise themselves as girls. 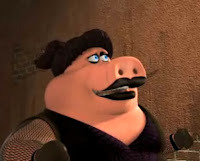 As for Pig, he uses a goth girl outfit! Though they are hideous, Snotty Boy (their enemy) and his friends force them on a date. Pig is paired to the emo boy and retaining his tough goth girl identity, he punches the emo kid when he starts getting comfortable. Pig also uses the same disguise briefly in "Doggelganger". Dixie Grim from Daddy, I'm a Zombie. She's a confused thirteen year-old with raging hormones (we've been there). She is trapped between two worlds - the former happiness of her childhood, and the insecurity of growing up without a role model, since her mother divorced her father, a coroner. One disastrous day, Dixie runs away into the forest, and a tree falls and kills her. But she is turned into a zombie and is trapped in the world of the undead. She is helped by other zombies, such as a mummy named Isis, to find a way to return to a "normal" life. 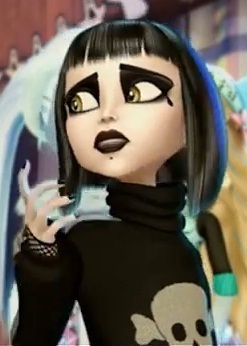 Ow, you miss the gothic girl from Monster High movie halloween special. Where is Violet from the Incredibles? She used to be under Dark Heroines. But after much consideration, she's not Goth, just a typical shy teenager. 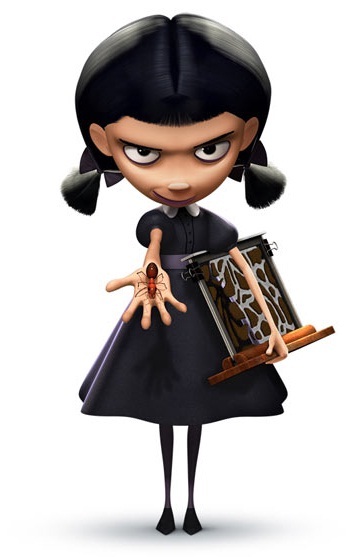 Not to mention Emilia the 5-year-old Goth and Vivian from the Colors of Evil. 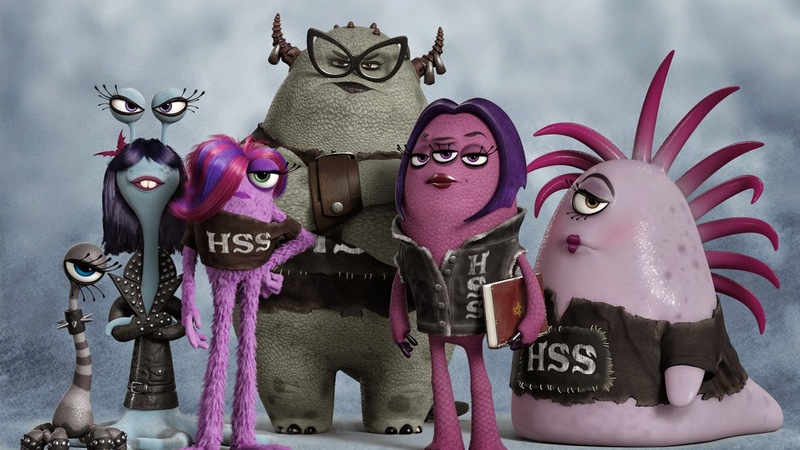 Would the female announcer of the Scare Games in Monster Uni count as well? Fluttershy is goth in the chapter "fake it make it"